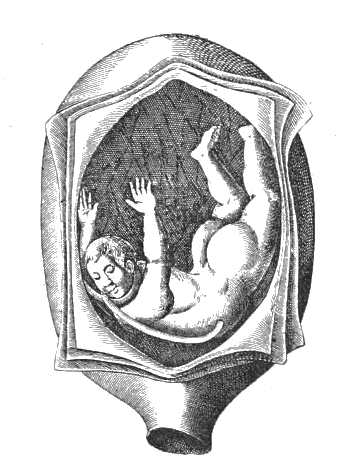 The following images are all taken from Tradition und Naturbeobachtung in den Illustrationen Medizinischer Handschriften und Frühdrucke vornehmlich des 15. 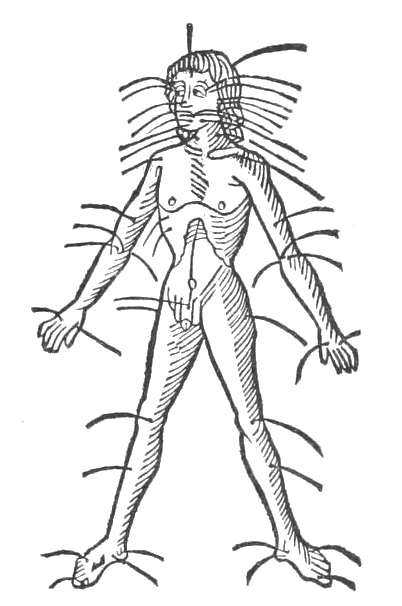 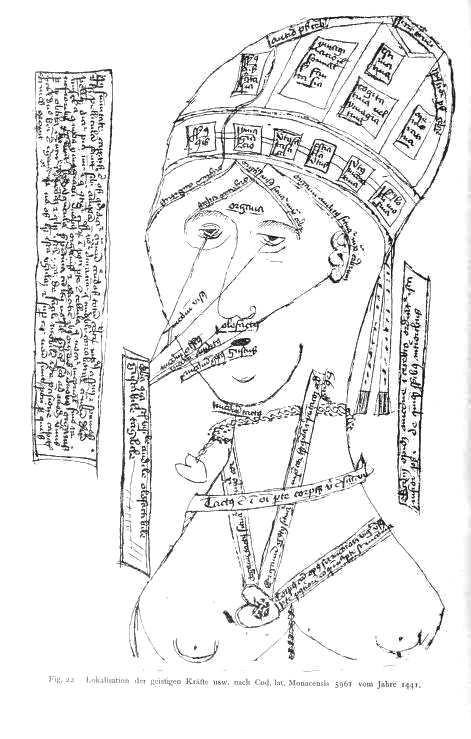 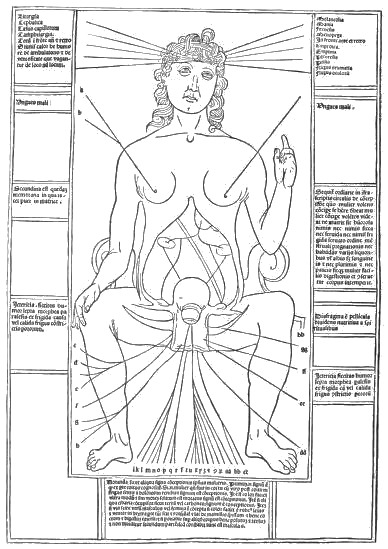 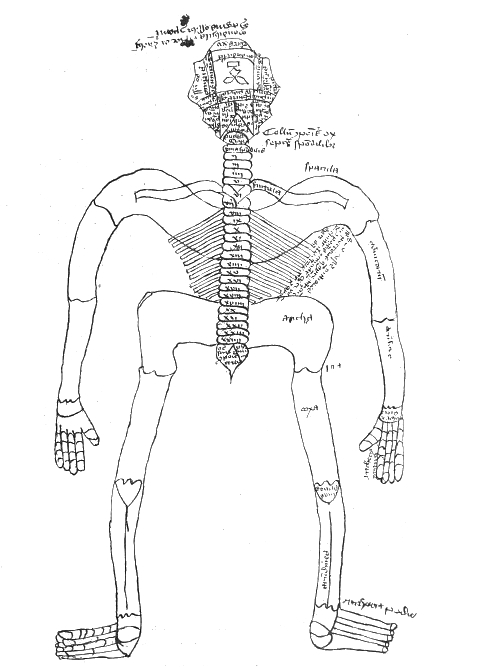 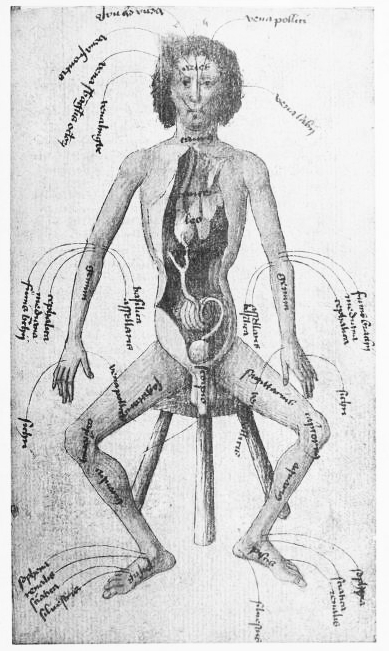 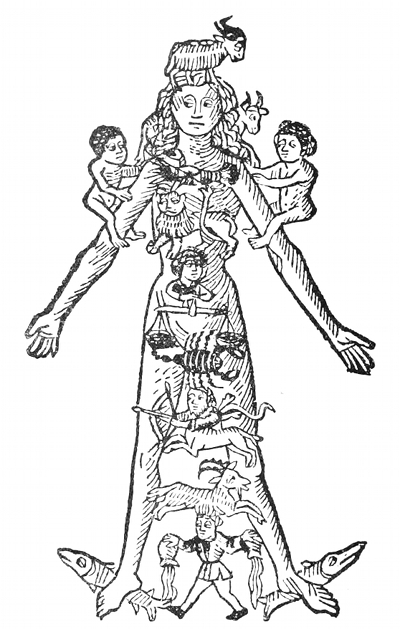 Jahrhunderts (1907) by Karl Sudhoff – a book on the topic of medical illustrations in manuscripts and early printed books (primarily) of the 15th century. 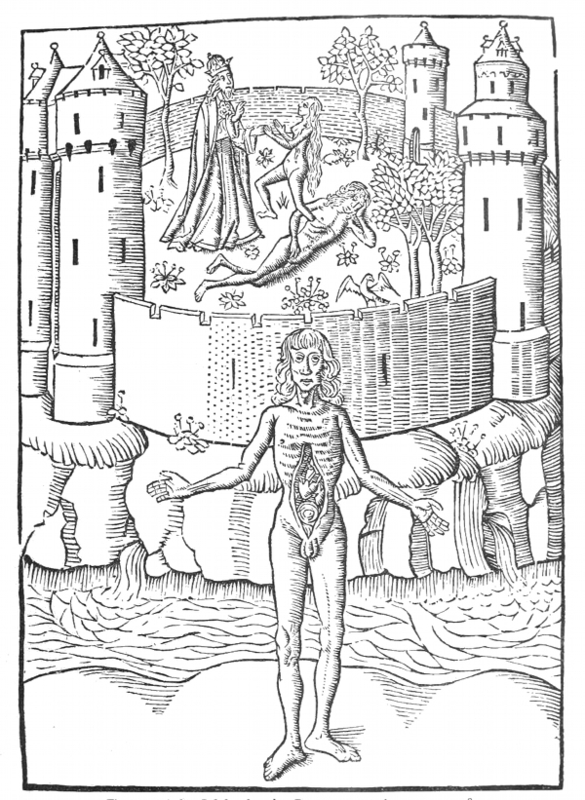 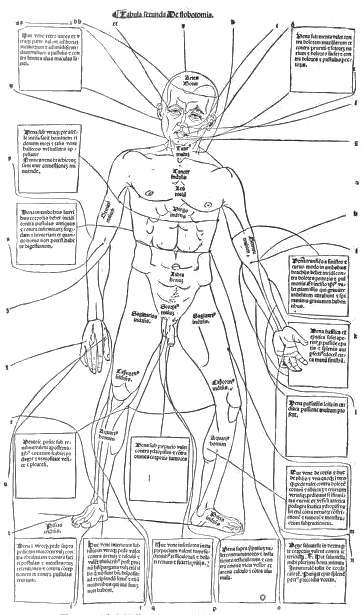 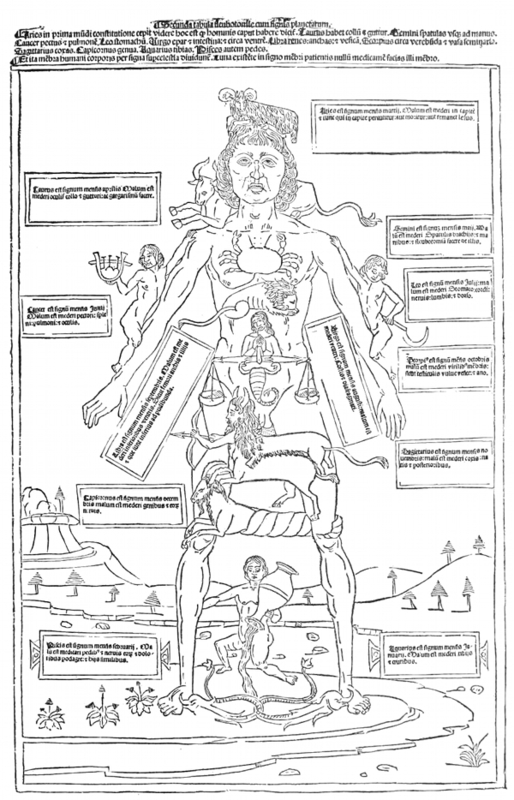 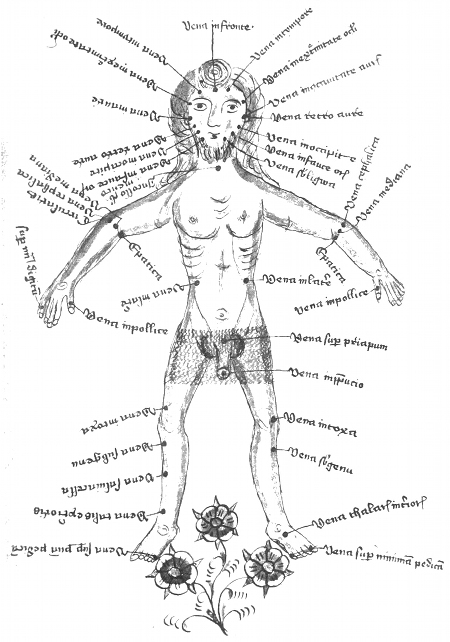 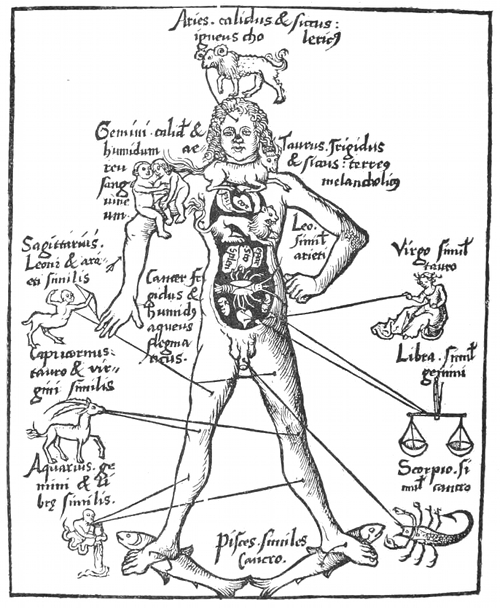 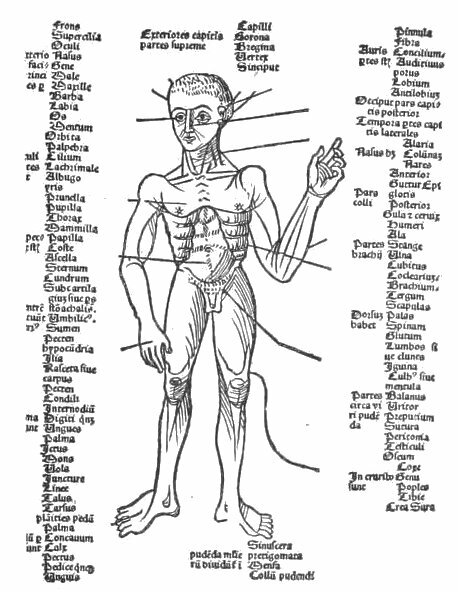 Included amongst the depictions are a few of the Zodiac Man (or homo signorum), a common figure in late medieval depictions of the body who had every part of his body linked with an astrological sign. 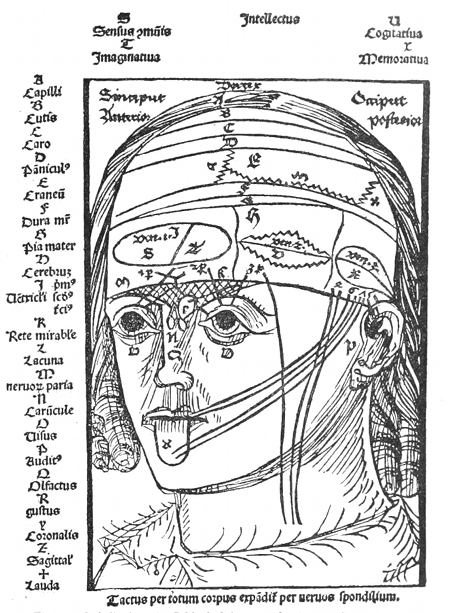 See the book to learn from where each image has been sourced by Sudhoff, and if you speak German, to learn more about them.